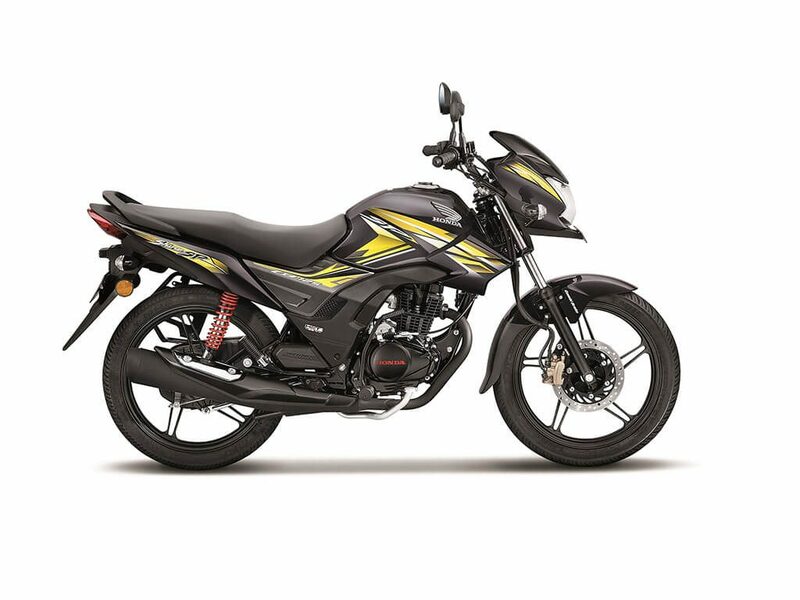 Honda Shine 2018 version was recently launched with a sportier look and a host of other features. The 2017 version of this bike had seen a good number of sales. The bike sports some really nice features such as a 5 speed transmission, HET tyres and Combi Brake System. Honda claims the new Honda Eco Technology (HET) tyres will reduce rolling resistance of the tyre by 15 – 20 percent. The new Combi brake system allows for shorter braking distance, what it does is apply the brakes on both the front and rear tyres simultaneously thus reducing the time it takes to come to a full stop. Of course you have a choice to choose from any of 3 variants Drum, Disc or CBS. The HET along with CBS adds some nice safety features to the bike. If that wasn’t already enough, the bike comes with Automatic Headlamp On (AHO) feature too, which regardless of the manufacturer has to be on all bikes, as stated by Ministry of Road and Transport India. Although all the above features discussed were already available in the 2017 version of the bike, 2018 version has some new additional features such as Split allow wheels, low maintenance seal chain, sportier tank shroud, and an instrument cluster which has service due indicator and a clock. Only major changes you will notice is in the looks department along with some other minor tweaks here and there. Honda Shine 2018 is priced at Rs. 62, 032 (ex-showroom Delhi). The 2018 model is just priced 1k above the 2017 model. Will you go for the Honda Shine? Let us know in the comments.